Home > Google News > Google AdWords > Google Now Consistently Showing Ads on Image Search? 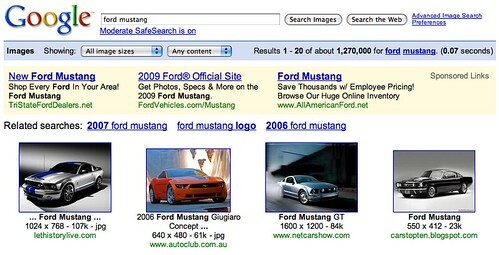 Since 2005, we have reported signs of Google placing ads on their image search service. 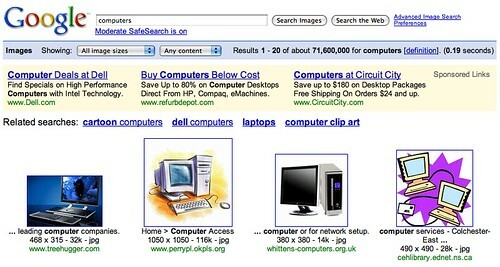 In May 2008, Google said they would run ads on image search and then signs of text ads on image search back in December. But it has really not stuck and people saw the ads on and off. Many other keywords all seem to work, such as blood pressure, gloves, baskets and even seo or buy text ads. The big question is, can advertisers opt out of showing their ads on Google images? So it looks like they are now here to stay.